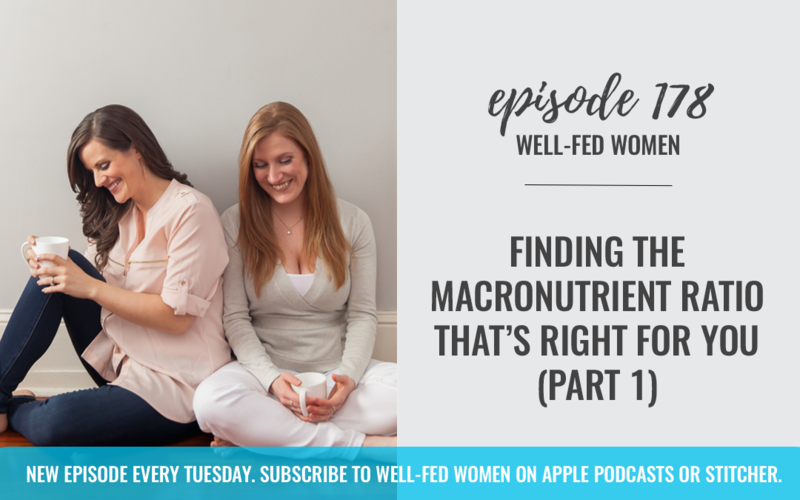 This week, Noelle and I discuss finding the macronutrient ratio that’s right for you (part 1). We are so excited to be sponsored by KIND, the snack company behind the Kind bar, and the Kind Snack Club! As part of their support for the podcast, they are offering everyone 50% off your first snack pack! Which ends u being 20 bars for $20. You’ll also get to try out their KIND Snack Club where you’ll receive monthly snacks at a discount and get members only bonuses. To get this awesome deal, go to kindsnacks.com/woman. KIND makes delicious, healthy snacks using whole, nutrient-dense ingredients that you can recognize and pronounce. Their snacks are gluten free and made without genetically engineered ingredients. And the best part is they are GREAT for eating on the go, which makes them awesome for busy women, moms, and breastfeeding. As a company, they really focus on giving back and always strive to balance commercial success with social impact. They were founded as a “not-only-for-profit”® company in 2004, and to deepen this mission, they created The KIND Foundation, which supports causes all over the world.ich supports causes all over the world.